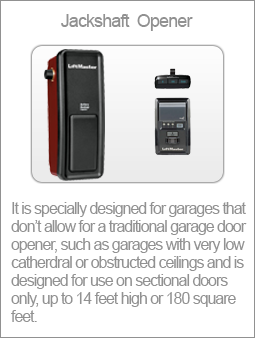 If your garage door opener needs to be repaired or you need a garage door opener installed, we have solutions for you! We offer garage door opener repairs to local residents in Toronto, Mississauga, Scarborough, Brampton, Oakville and across the Greater Toronto Area. 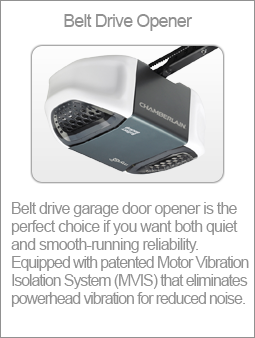 If your garage door opener is not opening or closing let us be the solution to your problem and make your life easier. We are open 24 hours a day, 7 days a week and our licensed & insured professional repair technicians are here to serve you! We also supply and install new garage door openers. Call us now and we will be happy to provide you with a free quote to get your garage door up and running again in no time flat! Some of the new models of garage door openers are equipped with a battery backup feature that will allow your garage door opener to function during a power failure. Depending on the manufacturer, your unit may beep intermittently to signal that your garage door opener is not receiving power and is running off of the battery backup, or in some cases signals that your battery is defective. There should also be a flashing LED light on your unit that is located under the cover next to your light bulb indicating this. Call us and we would be happy to provide you with additional insight and help you solve and fix any issue that you may be having with your garage door or garage door opener in Toronto, Mississauga, Brampton, Scarborough or across the Greater Toronto Area! Why Should I Install an Automatic Garage Door Opener? Winters in Canada can be tough, and for a low price you can have an automatic garage door opener installed on your garage door and then you can say goodbye to those days of pulling into your driveway, trudging through the snow to get to your garage door in order to open it by hand, walk back to your vehicle through the snow in order to drive back into the garage. If you invest in a garage door opener now, those miserable moments before you walk into your warm cozy home after a long day at work will be over! However, there are a lot more benefits to having a garage door opener installed onto your garage door than just for the sake of convenience! SAFETY TIP: If you have an automatic garage door opener installed and your garage door spring breaks while your door is in the open positions, your garage door opener will hold the garage door open without having it come crashing down and possibly causing a serious injury. Protect yourself and your loved ones and call us for your garage door opener installation service if you’re located in Toronto, Mississauga, Scarborough, Brampton, Oakville or across the Greater Toronto Area. We will be glad to offer you our professional services at competitive rates! 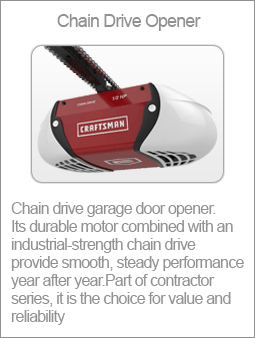 What Garage Door Opener Brands In Toronto or Mississauga Do You Repair?